Simon is originally from Northern Ireland and graduated from the University of Dundee in Scotland in 2015. After spending a year working in Scotland he made the move to Hervey Bay in the latter part of 2016 to join the Aura team. He is an enthusiastic and highly motivated dentist and enjoys the challenges of his profession focussing on his individual patients needs to ensure that they receive the best treatment possible. 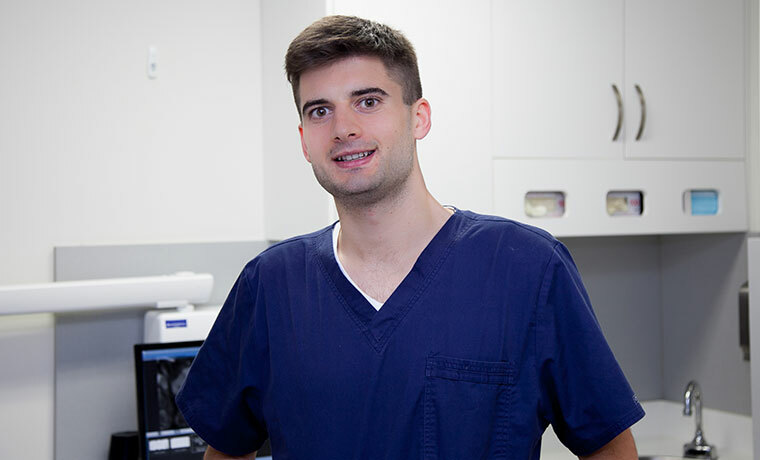 Simon is especially interested in Children’s dentistry, Endodontics and Cosmetic Dentistry and enjoys getting to know the patients he treats. When he is not working he enjoys playing and watching sport and spends much of his time enjoying Hervey Bay’s beautiful beaches and weather. He is often out on his paddle board, trying his best not to fall off!